I had the privilege of spending the last three days with 200 men and women who are passionate about planting churches in southern California. 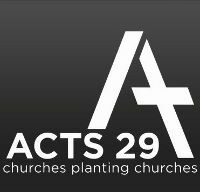 We gathered at a leadership conference sponsored by Acts 29, a global network of church-planting churches. Having served dozens of churches that collapsed because of relational problems, I was grateful for the opportunity to teach this group about five major benefits that relational wisdom can provide to church planters, as well as established pastors. Couples engaged in church planting (as well as missions and ongoing pastoral ministry) typically experience significant pressure and stress, which can undermine their marriages as well as their parent/child relationships. RW provides couples with practical tools they can use to protect these relationships and turn these challenges into opportunities for personal and family growth. Church planting teams often involve energetic and strong-willed people, who can easily entangle themselves in conflict, just like Barnabas and Saul (Acts 15:36-41). RW can help to prevent misunderstandings, improve relational skills, reduce conflict, and build cohesive teams. Everyone longs for better relationships. 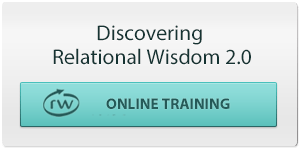 Therefore, church planters can use relational wisdom as an outreach strategy by offering free RW seminars to their communities and providing RW training for Christian-owned businesses. In the process of delivering practical training on relational skills, these interactions can open the way to connecting with people who have never heard the gospel. New believers often bring relational baggage with them into a church, which can cause turmoil and consume a great deal of counseling and pastoral attention. Regular preaching and teaching on relational wisdom can aid new believers’ (and older saints’) growth in godly thinking, character, and behavior, thus reducing conflict and freeing leaders’ time for outward ministry. Jesus taught that nonbelievers would know we are his disciples from the way we love one another (John 13:34-35). As new converts and older church members grow in relational wisdom, they can display the love of Christ in a way that draws others toward Jesus and fuels further church growth. Please pray that the people at this conference will find many opportunities to weave relational wisdom into their families, leadership teams, outreach strategies, and discipling ministries, and that God will use this growth to strengthen their churches and win others to Christ. I would also appreciate your prayers as I prepare to fly to Brisbane, Australia, in February to present similar training at another conference sponsored by the Acts 29 Network, which is being used by God to plant dozens of new churches all around the world. I’m scheduled to bring similar teaching to 700 church leaders at the European Leadership Forum in May. And if you know anyone who is involved in church planting, please pass this post on to them, along with my invitation to take advantage of our resources and training as they prepare themselves for their world-changing, kingdom-expanding work.